So far in 2018 I have visited the National Mall and the surrounding areas 21 different times and it has been different each time. 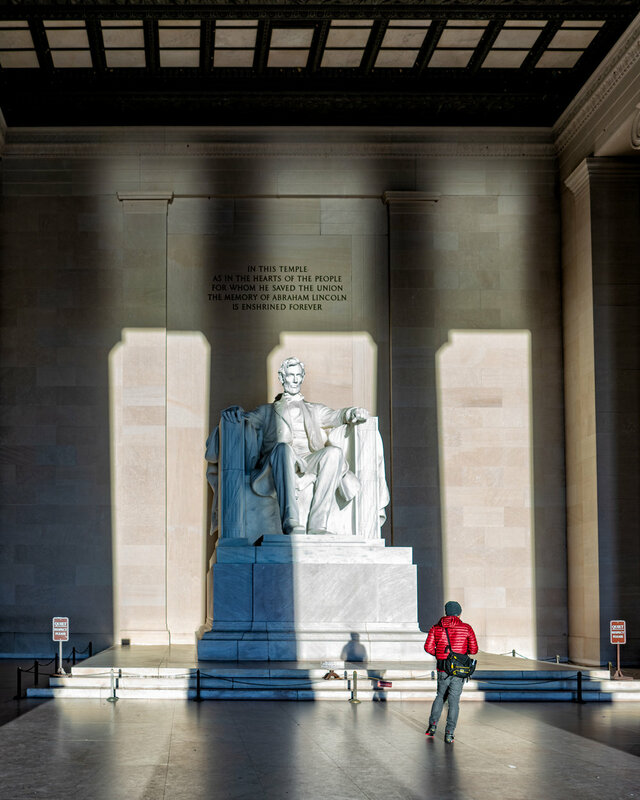 The monuments don't change of course but the light, the clouds, the wind, the temperatures, the crowds, the trees, etc. The key to any area is the scene will change with the seasons, time of day or even due to events and that is why I keep going back because every time I do I find something new to capture. The other thing is it pushes your creative approach to the same area as you may capture a shot that you think is amazing but then you find a different angle, different lens, shooting HDR, trying a cross processing. So many variables from 1 location. Take the challenge yourself. Choose 1 spot and shoot at it over a 4 week or 8 week time frame and see what changes from your approach or just with the natural occurring changes of the environment what results you will get. If you are looking for some inspiration or information around the National Mall and some other surprises check out the great book by Angela Pan called SnapDC which you can find on Amazon. Early January 2018 freeze of the Tidal Basin with some amazing color in the sky. ---- Sony A7R2 --- 5:31am -- Sony 16-35/35mm - 1/200, F/5.6, ISO 100, tripod. Then you have the surprises such as the Tidal Basin flooding and giving unique opportunities to capture it. Also brings to light the struggles they have so helping to preserve the beauty always good to look at investing in the NPS / National Mall for maintaining these beauties. ---- Sony A7R3 --- 6:12am -- Sony 16-35/29mm - 1/200, F6.3, ISO 400, Handheld.